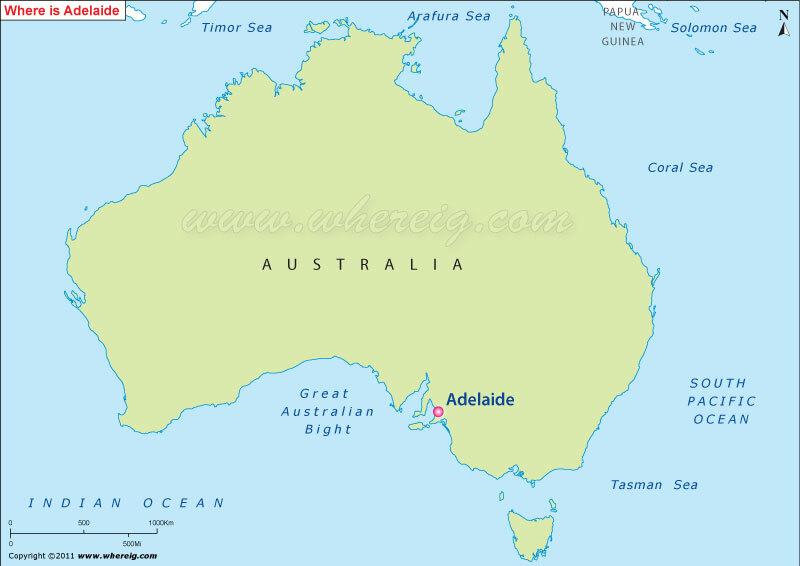 Where is Adelaide Located, Australia? Adelaide is the capital city of South Australia and the 5th largest city in Australia. Adelaide is a coastal city situated on the eastern shores of Gulf St Vincent, north of the Fleurieu Peninsula, on the Adelaide Plains between the Gulf St Vincent and the low-lying Mount Lofty Ranges. Population. population of Adelaide is more than 1.2 million. The city stretches 20 km from the coast to the foothills, and 88 km from Gawler at its northern extent to Sellicks Beach in the south. Adelaide Metropolitan Region has a total land area of 870 km2, and is at an average elevation of 50 metres above sea level.